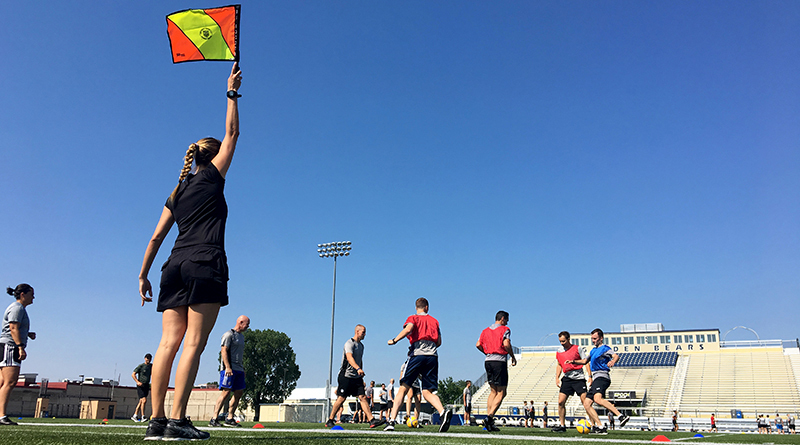 As part of their commitment to producing the game’s best officials, PRO’s mid-season development camp for their training tier recently took place in Minneapolis, with a total of 44 officials in attendance. 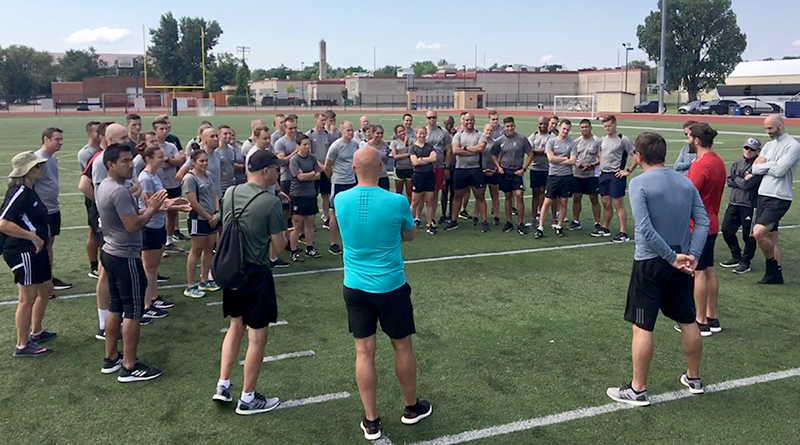 On the Friday, development group officials conducted a series of fitness assessments, before they were officially welcomed by Howard Webb (General Manager) and Alex Prus (Director of Development Match Officials). Two talks then followed dinner, most notably from Joe Dickerson on his recent journey from the development group to refereeing in the MLS. The first night closed with a short explanation from Prus and John Westbrooks, who is the lead sports scientist for the development group from PRO’s performance and analysis department, on what the following day’s field session would involve. The Saturday morning session was followed by a focus on nutrition with Tom Beckvermit (Sport Performance Analyst). After a short break, Michael Kennedy (Manager of the Development Group) and Erich Simmons (Development Group Refereeing Coach), lead a talk on player management within game situations, before Mark Kadlecik (Development Group Referee Coach) joined Simmons to focus on positioning and movement. This took place while assistant referees worked with James Conlee (Development Group AR Coach) on role-specific skills. Dinner on Saturday was followed by a series of official video assessments to ensure all referees and assistant referees are operating at the required level, before a spot of light entertainment with a quiz brought the evening to a close. The third and final day began with talks regarding assessment and the assigning of officials, from Sandra Serafini (Director of Strategic Initiatives and Innovation) and Brenda Wright (Development Group Assigning Assistant) respectively. PRO development officials will fulfil assignments across the country and will be watched and assessed in every fixture, so it’s important they know how the system works and what can be expected of them. Prus then delivered a wrap-up presentation to complete the camp, including a review of the previous day’s official tests. Speaking after the meeting, Prus explained the importance of the camp: “First of all I would like to thank Erich Simmons who is managing Training Tier for us on daily basis. This was the first time we have been able to get the whole training tier together in the same room and it was good to see them on the training field, and find out what they’re all about. “I’m very pleased with all the officials who came to our camp, especially their attitude and their effort in participation. Now we can focus on their performances on the field by watching more games because we are pretty comfortable with the development group we have. “We have seen our first graduate, Joe Dickerson, going into the group of senior officials, so now it is clear that the pathway is there for people to move up. We were also fortunate to be joined by All-Star referee Robert Sibiga – he came and asked me if he could sit in on the development sessions which was great of him. “Jeremey Kieso did a talk for the AR’s and we were grateful to Ted Unkel and Adam Wienckowski who also gave up their time to make themselves available to the group as well.